Home›Car Art›Artists and media›Artist Interviews›Onno van Beek spent all his savings on a car! What is it that makes a car enthusiast spend all his savings on restoring and maintaining one single car? This Dutch illustrator has some great stories to tell. 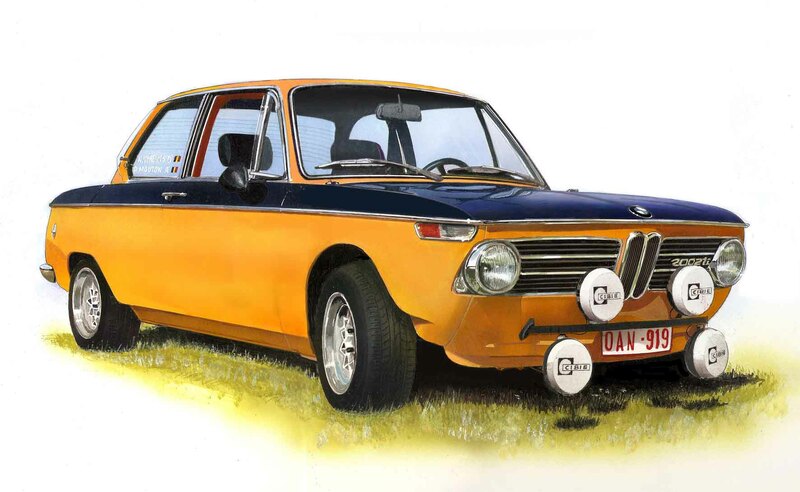 This question spurs Onno van Beek, Dutch illustrator and automotive artist, to capture the heart and soul of each vehicle’s owner in his art. 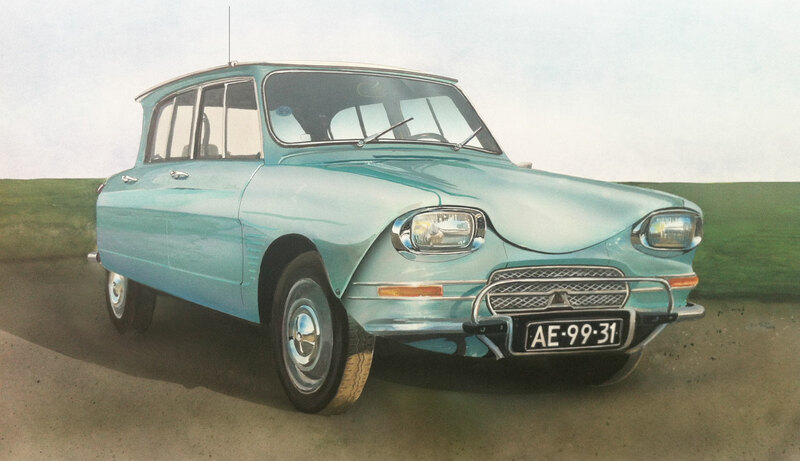 For instance, van Beek’s depiction of the the Citroën Ami highlights it’s unique and characteristic lines – a design that triggers almost binary reactions; you either love it or you don’t. Onno works as an independent graphics specialist and illustrator. While he honed his skills the traditional way with hands-on experience, today’s fast software doesn’t allow him to practice these skills. 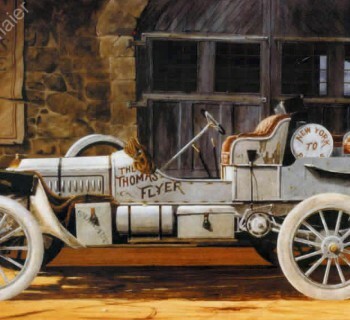 Commissioned automotive art therefore became a welcoming way to get back to his roots. As a young boy, playing soccer on the street the ball bounced by accident beneath the neighbour’s car, a Volvo Amazon. While picking up the ball Onno took a peek inside the car and decided right then and there that when he would turn 18 he wanted that car. And so it happened, his first car was a Volvo Amazon. 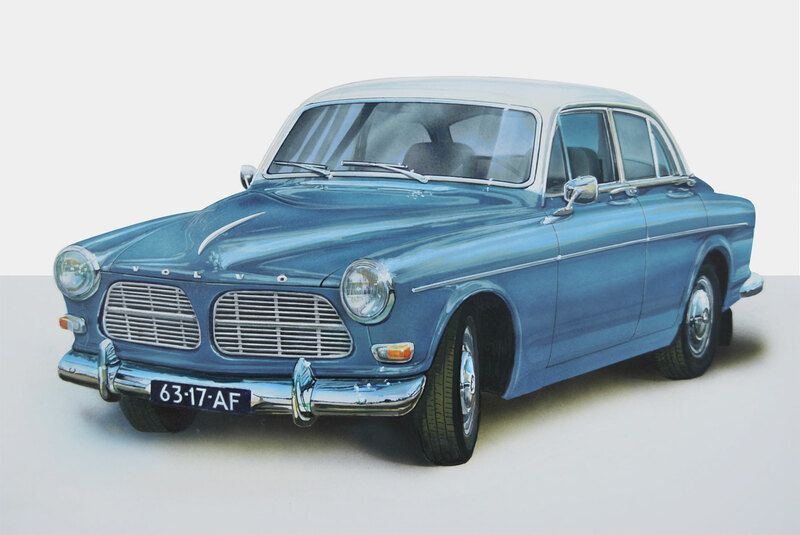 He joined the Volvo club and made an illustration of his Amazon, which marked the start of his automotive art. Onno uses a variety of techniques for his car art. For commissioned work he likes using markers where sketching out the basic lines of the model. He likes to experiment with different techniques and found a way to protect the colors from fading using specific UV blocking lacquer. He even conducted real time aging tests with different types of lacquer on paper, exposed to sunlight for a couple of years. Airbrush is another technique Onno employs, though less frequently as it is highly labor-intensive and takes too much time for regular commission work. But the time investment does show. Like the Mercedes in the parking lot, drying in the sun after a summer rain. The reflections in the wet asphalt reflect Onno’s remarkable artistry. Through his commission work Onno comes across great stories. Once he was asked if he could draw an old Pepsi truck. In 1938 this truck was the pride of a distiller from the small village of Terheijden, Netherlands. The colors and design of the truck made it quite an attraction for the villagers but not for long. At the start of the World War II the truck was confiscated by the Germans leaving only a worn out, faded photo behind. 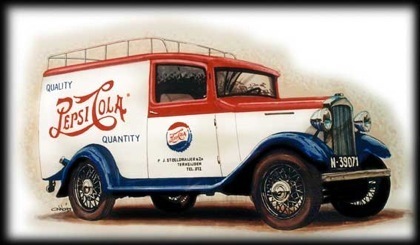 With information from the Pepsi cooperation and the one-existing picture, Onno van Beek was able to create a color reconstruction and recreate the image of the original Pepsi truck. Onno often visits car events where he shows his artwork and finds inspiration. 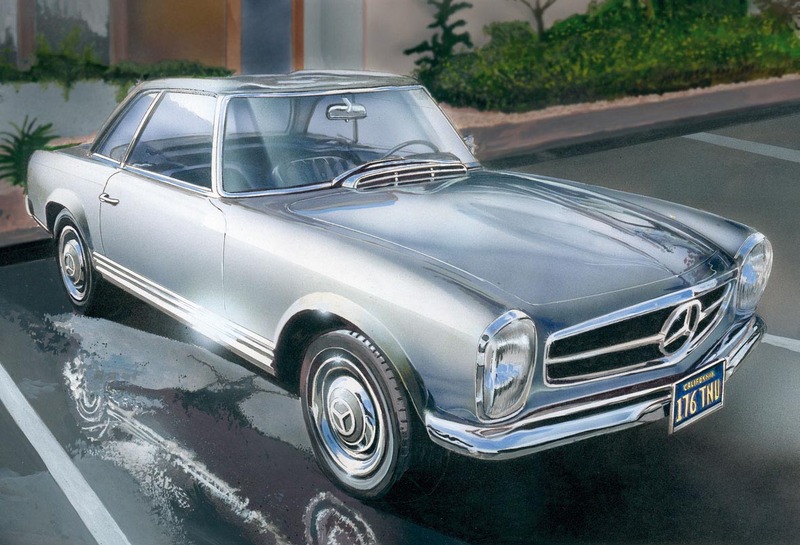 While he describes himself more as a skilled illustrator than an automotive artist Onno has some plans to create some new large car paintings in a more free style genre. 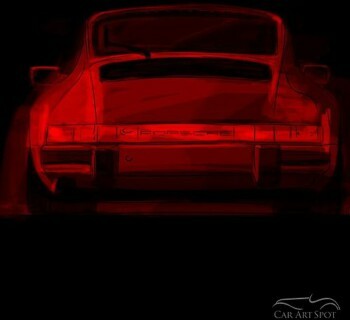 Interested in having a painting of your car? 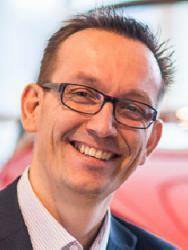 Onno van Beek would happy discuss the possibilities with you! 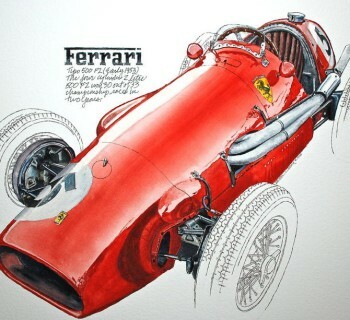 Contact him through his website www.carpaintings.nl. can you draw a BMW E36 M3 ? I admire you so and I love that car.